The manufacturer behind Google’s highly sought after Nexus 4, LG, was recently questioned to see if they knew what exactly was to blame for the shortages we have encountered when trying to purchase the device. If you recall, both times the device went up for sale in Google Play, it was sold out in no time at all. Andy Coughlin, head of mobile at LG UK, gave some words of hope for potential buyers. The device has proven extremely popular, and as such retailers have been met with huge demand. We are working closely with Google to ensure that those who wish to purchase a handset are able to do so. It’s hard to say whether Google underestimated demand, or whether they chose simply to have a number of devices available. 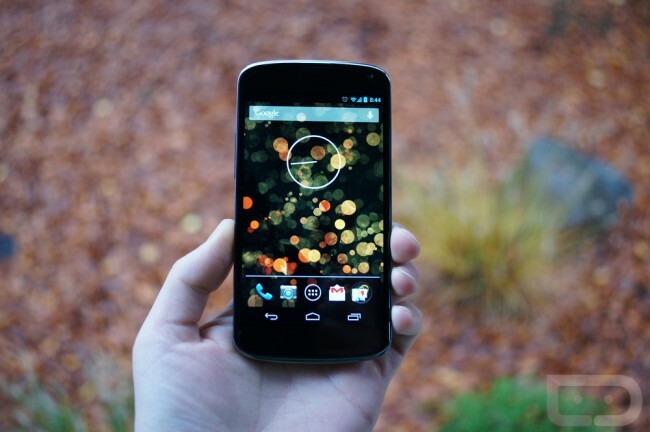 The fact that the Nexus 4 is high profile is good for Google. All of this raises the public profile of Android. All of this helps Google’s strategic objectives. It’s good for Google, but still unfortunate for the folks trying to score the phone. Have you been able to buy your Nexus 4 or are you still waiting for that wait time to go down?